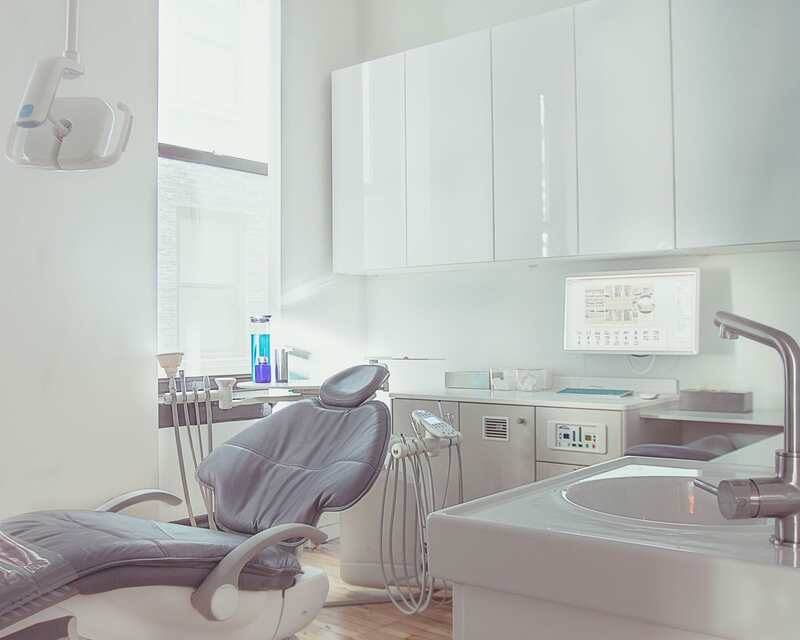 We spoke with Dr. Carlos J. Huerta, owner of The Dental Boutique, which is a modern private dental practice in NYC. Dr. Huerta is a well-known dentist in NYC, and is a 2016 Incisal Edge 40 Under 40 Honoree, which recognizes the best young dentists in America. The Dental Boutique was also a winner of the 2017 Incisal Edge Design Competition. 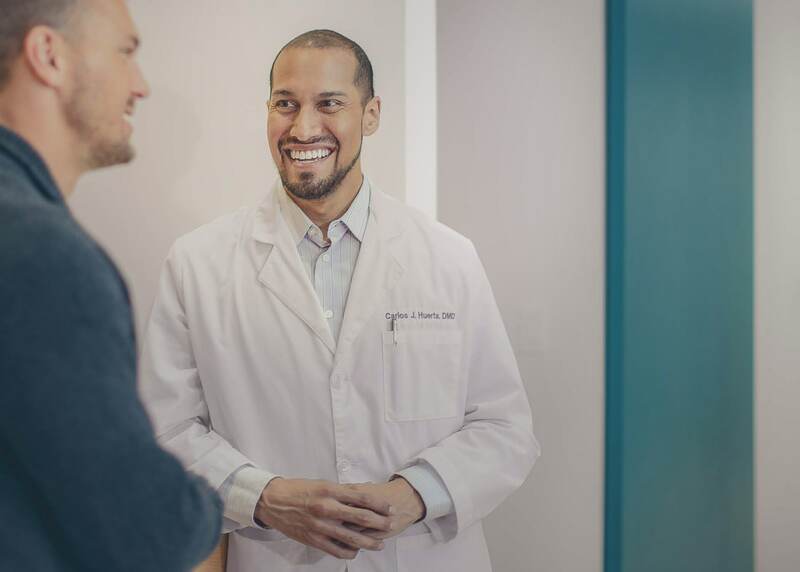 In our interview, Dr. Huerta walks us through his journey in creating The Dental Boutique, and in selecting Curve Dental as his practice management software. He highlights the benefits of cloud-based software, and the value in working with an established software company, like Curve Dental, who listens to customer feedback and incorporates it into their product. Dr. Huerta also touches on the importance of having a modern, intuitive user interface, which we think is an often overlooked consideration when selecting a system. After all, having a slick user interface not only makes the system easier to use, but also more fun to use. Hi Dr. Huerta, nice to meet you. Can you introduce yourself and your practice? I went to the University of Pennsylvania for dental school, and afterwards did my residency for a year at Albert Einstein Medical Center in Philadelphia. I worked for two partners for 9 years in their private solo practice in SoHo and also in their practice in New Jersey. I always knew that I wanted to have my own practice -- I have a lot of unique ideas about dentistry, and I wanted to be able to bring my ideas to fruition without having to worry about having any additional steps to get there. So, in 2013 I decided to venture out on my own, and I created The Dental Boutique. I think about dentistry as a profession a bit differently than others, and view it as a lifestyle. I’m from Oklahoma originally, where practices are really small and intimate, and it’s important to have a really trusting environment for patients. This is the kind of environment I wanted to create. The private practice I worked for was great at this as well, and this is something I wanted to make sure I carried over to my new practice. How did you hear about Curve Dental? In designing my new practice, I wanted to incorporate Apple products, not just for form but for function. (As a Mac user, I find it much easier and more intuitive than PC.) In my search, however, I found that most software in dentistry was PC-based. I found one practice management software that seemed established and planned to purchase it when the time came. As I was in the process of my buildout -- I can’t remember if it was via mailer, e-mail, journal, etc. -- I got an promo from Curve and immediately knew it was what I had been looking for. It had simplicity of design, without a bunch of clutter on the screen or multitude of buttons, an intuitive interface, and it worked with Mac machines. What other options were you considering, and what systems have you used in the past? When I was an associate, the practice used Easy Dental on PC. I found the interface to have too many buttons with all of the options cluttering the screen. It was also hard to find how to use separate modules or run certain queries. I considered MacPractice when planning for my own practice to be opened. The interface was much softer and more user friendly. What do you like about it, especially compared to other systems you've used in the past? Curve Hero has the most user-friendly software I have ever used. It has very little clutter on the screen. It has intuitive search and has everything incorporated with access from the “sidekick” menu to either have an easy view of an area like insurance or treatment plans without changing the current module, such as schedule or billing, or to switch the screen to the full module so that work is never lost. The information tab has areas broken down into administration, reports, user management, etc., so that all areas can be maneuvered much more easily than finding arbitrary tabs or buttons. I like that Curve is constantly developing and taking into consideration client opinions and needs. For questions, suggestions, and problems, I can open a ticket and get a quick reply. Having forms that populate directly into the patient chart and demographics saves a lot of time on transferring information from a mobile device or iPad. Having merchant services tied directly into the patient ledger makes tracking transactions simple and allows less error in swiping on one terminal and manually entering the payment into the account. Having e-script accessible through Curve creates a seamless way to tie prescriptions into the patient’s EDR. What do you think can be improved about Curve? Curve recently changed the charting module, which depicts the dentition. The angulation and rotation of the teeth is confusing, since it is not how the teeth would be viewed in nature. The mesial of the first molar doesn’t match to the premolar, the second molar to the first, and the third to the second. The path of drawing the surfaces is too narrow and causes other surfaces to be included, and the angulation of the drawings keeps some surfaces inaccessible. The buccal surfaces of the molars look to be placed mesial, and the distal surfaces look like buccal placement. The development team, however, has contacted me in response to my concerns, has interviewed me, and have expressed that they will work on simplifying the module, as other dentists have voiced similar concerns. The teams listen to client concerns, which is one of the strongest qualities of the software. They are also developing forms that allow self-written questions to be answered and populated into the chart, but for now, we have to log patients into two separate systems to complete our forms. How important is it to you that your practice management software is cloud-based? When I was an associate, Superstorm Sandy hit NYC. The only piece of electronics that got fried was the server, and this created a great hassle for information recovery to be able to use the practice management software correctly. I decided then that if there was a way to keep from having a server on-site, it would make life easier since it would be backed up and accessible off-site. Do you think that there are any downsides to being on the cloud? The downside to cloud-based software is that if there is even an Internet outage, there is no access to any of the patient records for review or addition. Also, the recent Amazon Web Services outage didn’t allow access to Curve, which rendered the same inconvenience for a full workday. It would be great if there was a way to have at least the current day’s or week's schedule/patient records automatically cached for offline work in case of outage, to still allow a functional workday. When Curve is back online, this would automatically update, which would solve the problem of needing an on-site server. Do you use any other software for your practice, in addition to Curve? In the past we've used MailChimp for sending emails to patients -- it didn't make sense to pay for a patient communication system to handle this for us, since we were newer and still growing. However, our practice is now at a point where it makes sense to invest in such a system, so we're looking into Lighthouse 360, which integrates with Curve. We plan on doing a beta test soon to see how it works for us. If you were to start your practice over, would you choose Curve again? Yes, absolutely. Curve has such an intuitive and interactive interface. Their training from the start has been great. We did about 15 hours of training, which was included, and it was really helpful. When I look at systems like Dentrix or Easy Dental, I think that their interface is just confusing, and there are too many things going on. Out of the different systems I've used, Curve has been by far the smoothest experience. They're constantly adding great features to their product, which can introduce an occasional hiccup, but they've been great at listening to client feedback, and addressing any issues that come up. Curve Dental is one of the first companies to specialize in 100% cloud-based dental practice management software, and is ideal for modern solo practices looking for a web-based solution. Since Curve is purely web-based, both Mac and PC users will be able to use it -- many locally hosted solutions are PC-oriented, so this is an especially nice perk for Mac users. 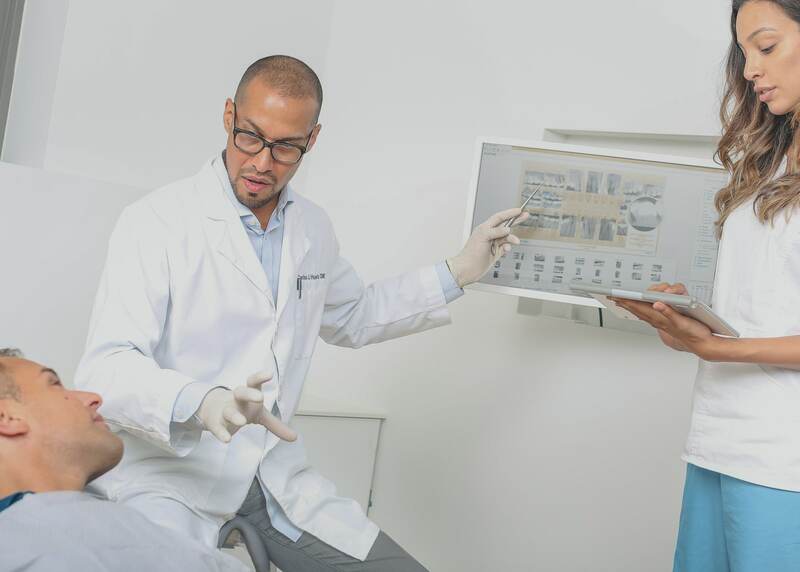 Dentists with busy lives outside of the office will appreciate that the software can be accessed from anywhere with an Internet connection. To learn more about Curve Dental, you can read our in-depth review here. You can also visit Curve's site here.